At Watermark, we cultivate innovative use of technology by holding multiple hackathons throughout the year. Teams of engineers dedicate two days to dive deep into a topic or technology they want to try out, or explore an idea that is in the back of their mind. Hackathons allow engineers to stretch their creative boundaries and see what’s possible. This in turn gives teams a wider perspective when approaching their upcoming projects. The results produced in such a condensed time frame are impressive. Don’t take our word for it! 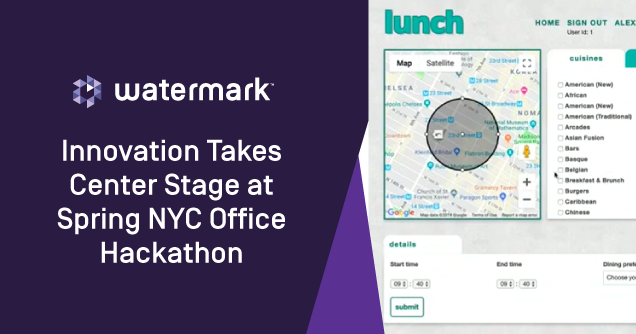 Take a look at the results of the recent Hackathon in our New York City office. Project: Watermark Share is a proof of concept that allows solution specialists, and client admins to easily share, and distribute files. Files are stored securely in AWS: S3. 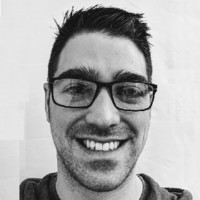 Project: Learn, and create an implementation of GraphQL that retrieves institution data. Project: Harness the power of web sockets and Elixir’s parallel processing capabilities to make a parallelized version of Conway’s Game of Life. Project: Watermark Champions tracks the wins and losses between employees of Watermark in multiple games played in the office. 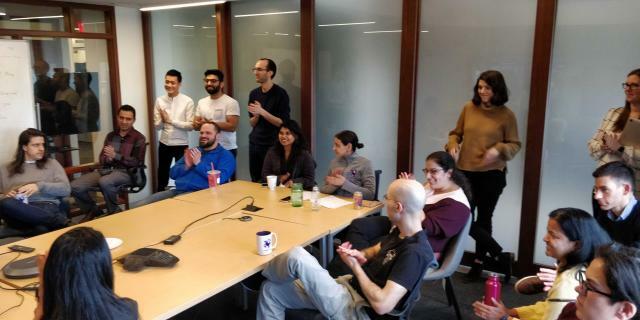 The idea came from the discovery that a lot of people in the office play and are really good at some games that other employees are not aware about. 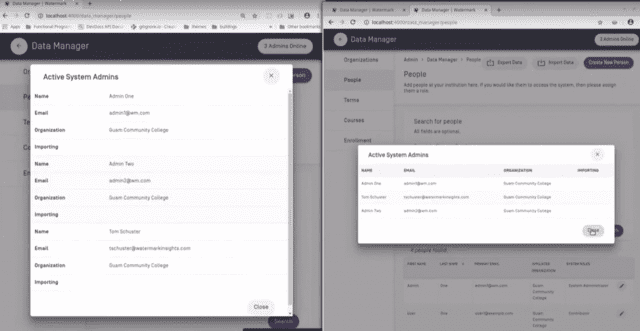 Project: A proof of concept using the Phoenix Channels, and Presence APIs to show who is logged in to the system, and prevent administrators running conflicting system updates at the same time. 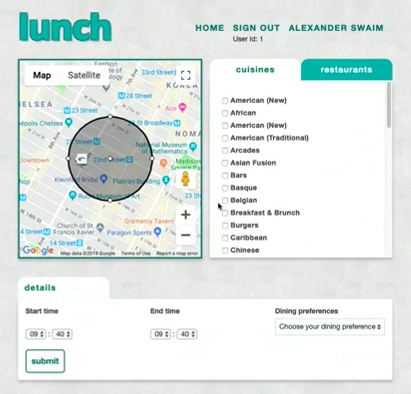 Project: Lunch is a web app that helps you find a great spot for lunch within a certain radius of your current location. Filter by cuisine type, takeout / dine-in / delivery, and distance. 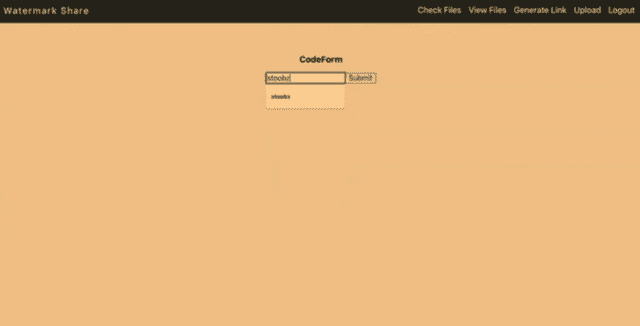 Project: Visualize logins into any of our Watermark modules in real time. Leverage the geolocation of IP addresses of logged in users to display their general location on a spinning 3D world map. This is a cool way to show engagement with our tools. We wanted to make this an engaging and immersive experience by adding eye & ear candy. 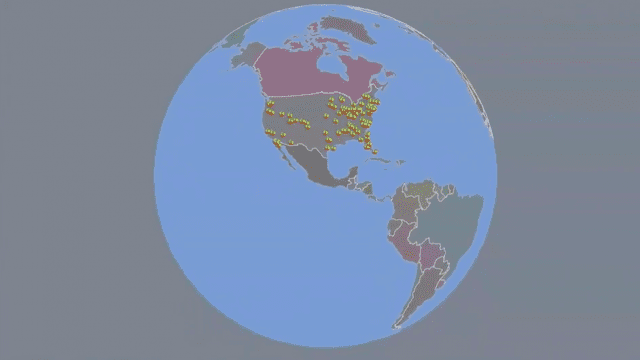 The demo include an animated flyover of the globe! Thanks to everyone who participated—we’re already excited to see the creativity and technical expertise to come in future Hackathons!